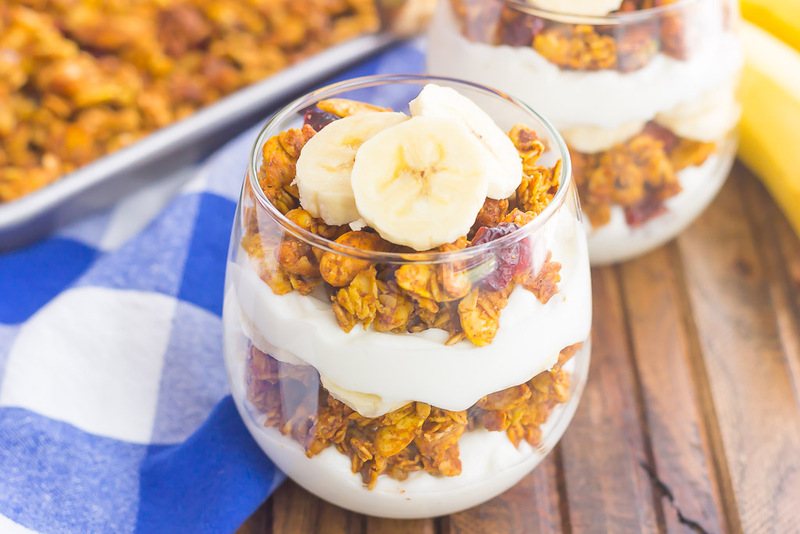 Pumpkin Banana Yogurt Parfait makes a deliciously simple breakfast or snack. 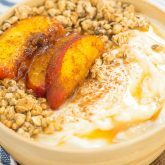 Packed with vanilla yogurt, pumpkin spice granola and fresh banana slices, this healthier dish is easy to make and perfect for fall! Let’s talk about breakfast today. Or, more specifically, breakfast routines. Do you eat the same thing for breakfast a lot? Or do you like to switch it up? Or do you even eat breakfast? My breakfast routine really depends on the day. Some days I’ll just have coffee, whereas other days, I’ll grab a yogurt or slurp down a bowl of cereal. I’ve mentioned this before, but I’m not a big breakfast person. Unless you count going out for breakfast, then I L-O-V-E it! But, eating breakfast at home? I can take it or leave it. I really do try to eat something for breakfast though, because come mid-morning, I usually require a little more sustenance, other than just coffee. 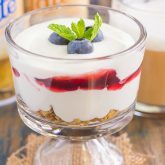 I always keep containers of yogurt in my fridge, as it’s easy to grab for a quick breakfast or afternoon snack. And ever since I made this Pumpkin Spice Granola, I whip it up every fall (and sometimes throughout the year) to snack on. It’s perfect by the handful, with some milk, or even on top of some vanilla ice cream. 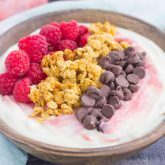 Since I’m trying to get better at breakfast, that’s where this yogurt parfait comes into play. 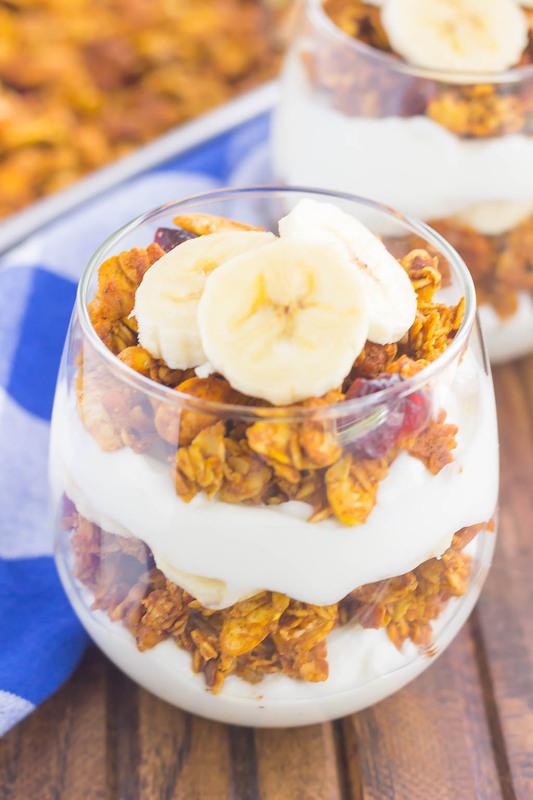 If you like a little crunch with your yogurt, then this parfait was made for you. 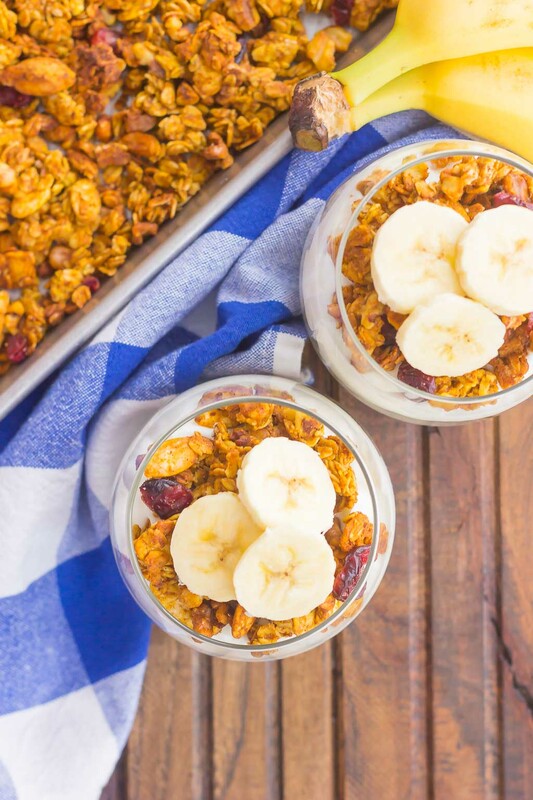 The crunchy pumpkin spice granola gives this parfait the perfect amount of texture, while the creamy yogurt and banana slices give it that fresh flavor. It may seem strange to combine pumpkin and banana flavors, but trust me, it’s a match made in food heaven. And easy, oh-so easy to make! But you knew that was coming, right? 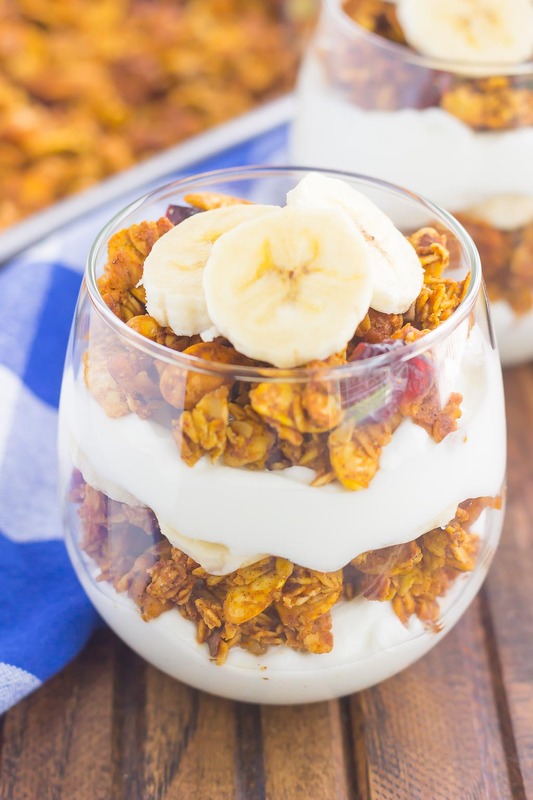 This Pumpkin Banana Yogurt Parfait starts with a layer of yogurt. I used vanilla Greek yogurt, but you can use whatever kind you prefer. Then, layer a scoop or two of Pumpkin Spice Granola on top, followed by some sliced bananas. Repeat the layering process once more, and your tasty breakfast or snack is ready to be devoured. 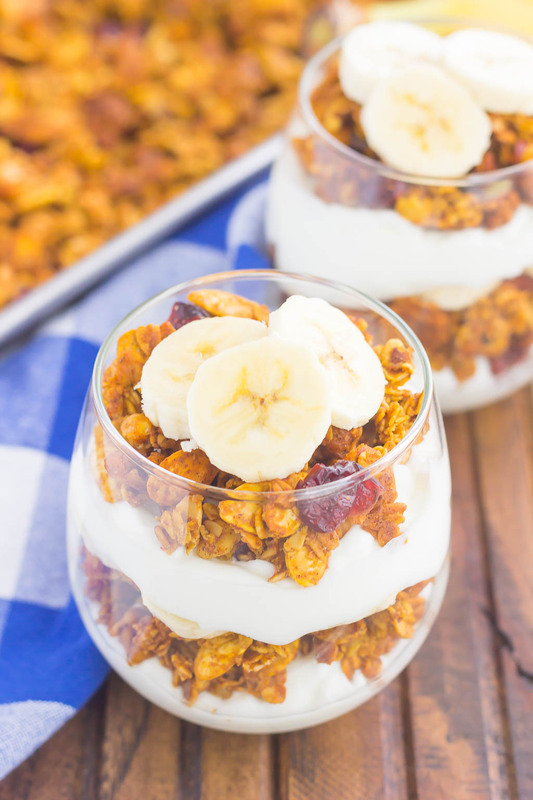 One bite and you’ll fall in love with the crunchy, pumpkin-y granola, smooth yogurt and sweet bananas. 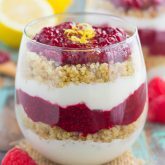 You can whip this easy parfait up ahead of time and keep a few stocked in your fridge for when your breakfast or snack cravings strike. With simple ingredients and delicious fall flavors, this Pumpkin Banana Yogurt Parfait is meant to be enjoyed all season long! Looking for more fall dishes? I’ve got you covered! Spoon 1/2 cup yogurt onto the bottom of two glasses or jars. Top with 1/4 cup Pumpkin Spice Granola, followed by 5-6 banana slices. Repeat with a second layer in each glass.